I have no patience for deniers — those who claim the Holocaust never happened, that climate change isn’t real, that the US government toppled the Twin Towers — and no interest in engaging in any kind of conversation with them, let alone a debate. I know that I can never change their twisted minds, that logic plays no part in their conclusions, and that they have more regard for opinions than facts. Professor Deborah Lipstadt felt the same way. In 1993, she wrote “Denying The Holocaust,” in which she said that another author, David Irving, had distorted facts and evidence to legitimize his Holocaust denial. He tried to confront her and challenge her to a debate, but she declined. In 1996, Irving sued Lipstadt and her publisher in a British court for libel. The problem for Lipstadt was that, in England, the libel burden is on the defendant, not the plaintiff. In other words, there was no presumption of innocence on her part — she had to prove that he was, in fact, a liar and distorter of the truth. 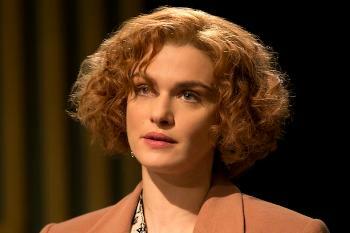 That’s the basis of “Denial,” a terrific film starring Rachel Weisz as Lipstadt, a brilliant woman faced with what seems an impossible task, horrified at the idea of having to litigate the truths of the Holocaust in court. Fortunately, her publisher, Penguin UK, puts together an impressive team of solicitors and barristers (in the British legal system, solicitors prepare the case and barristers argue it in court, complete with those ridiculous wigs that should have disappeared long before the 21st century). As good as Weisz’s performance is as Lipstadt, “Denial” steps up a few notches every time Tom Wilkinson is on screen. One of our most reliable actors, Wilkinson has never been better than he is as Richard Rampton, the barrister who takes Irving apart in court by using his own words against him. Andrew Scott is also good as Anthony Julius, the solicitor who leads the team in devising the legal strategy and doing an enormous amount of research. Timothy Spall plays Irving as the over-confident, slimy demagogue denier he was. “Denial” is one of the best movies I’ve seen this year. I give it a 9 out of 10.